Here’s what our real brides have said about JJ’s Weddings and our wedding flowers. Such an amazing job done on my wedding flowers, could not fault them. My bouquet was so beautiful and matched the wedding theme perfectly. All were delivered in fantastic condition on the day as well. I loved my bouquet, it was just perfect and better then I could have ever imagined. Jess listened to all of my ideas and wants and was able to create a bouquet that felt so custom and personal to me. She also did all the table arrangements, bridesmaid bouquets, cake flowers and button holes, it was all beautiful. Thank you so much. 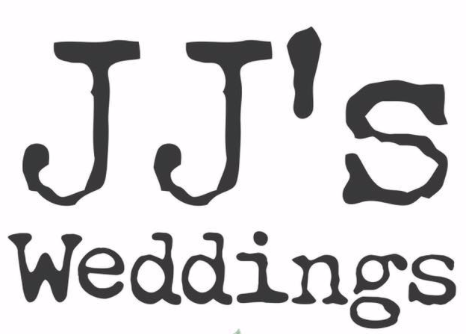 I just want to thank JJ’s for everything they did for my wedding. Going for something simple and classy, but bright, I was unsure how it’d look but I was over the moon. And every person I show the photos to comments on how beautiful and bright the colour of the flowers look and how unique it was. It was the finishing touch for our day and every aspect was incredible. Jess was so easy to work with and answered any queries at any point. Thank you! We got married in June 2018 and Jess was brilliant from the beginning as neither of us were flower people, although my bouquet was definitely one of my favourite things from our day. This was all down to Jess listening to what we had planned and suggesting ideas for us to go forward. She really got to know us on a personal level and even made time for my Mum on the morning of the wedding (the emotional one in the corner). We will definitely be recommending JJ’s to everyone! It’s not possible to give JJ’s less than a 5* rating, she is just incredible at what she does. She listens, advises & works with you to create mini miracles in flowers. Jess I can’t thank you enough for the flowers you did for our wedding, we have received many compliments about how beautiful they were & as they were artificial, they’re now a beautiful feature in our lounge. Thanks again, you’re amazing. First of all, how crazy talented are you! Second of all, thank you for making the most amazing flowers for our day on the 30th of August at the West Mill. When I walked into that dressing room and saw those flowers I actually screamed haha! They were just so so beautiful, more than what I could have ever hoped for. The ceremony room looked beautiful too, and the flowers on the tables were perfect, exactly what I had wanted. You are seriously so talented and so lovely to work with. I knew nothing about flowers and was so worried about it but you made it easy for me! Thank you Jess for such beautiful wedding flowers, not just our bouquets but for the garlands at Hazel Gap and the greenery at the church, it was all perfect. I love JJ’s style of bouquet and the colours brightened up the only cloudy day we had this summer!